Treating your vitamin D deficiency can improve your muscle strength and energy levels - just two of the benefits of vitamin D supplements for fatigue and weakness. Vitamin D deficiency is a well-known cause of fatigue and muscle problems such as weakness and pain. If you’re like millions of others around the world, you have an untreated vitamin D deficiency that is making you weaker and more fatigued. The two studies below looked at how taking vitamins for fatigue can treat this deficiency and boost muscle function and fatigue. Recognizing that vitamin D deficiency is a well-known cause of fatigue and muscle problems such as weakness and pain, researchers from Newcastle University in the United Kingdom compared muscle function and recovery in 12 patients with vitamin D deficiency and 15 controls with normal vitamin D levels. The researchers used magnetic resonance spectroscopy to measure how the muscles use energy during exercise and recover afterwards. This imaging technique shows in real time how the mitochondria inside muscle cells are functioning. Mitochondria are the tiny organelles inside cells that manufacture ATP, the body’s main energy currency. Suboptimal mitochondrial function has been implicated in several fatigue-related disorders, as has low vitamin D levels. Taking vitamin D supplements for fatigue-related disorders is nothing new, but the researchers wanted to see just how the vitamin D treatment affected muscle energy metabolism. After treatment with vitamin D, the vitamin D deficient subjects’ serum 25-hydroxyvitamin D (25OHD) levels increased significantly, from an average of 9 nmol/L (22.5 ng/mL), which the study’s authors considered severely deficient, to 114 nmol/L (45 ng/mL), which they considered normal. The mitochondrial function in the vitamin D deficient patients’ muscles significantly improved after treatment with vitamin D. The improvement in the mitochondria’s ability to generate energy correlated with the improvements in vitamin D levels. Plus, all the patients reported an improvement in fatigue after vitamin D therapy. What’s the Optimal Dose of Vitamin D Supplements for Fatigue and Muscle Weakness? The second study compared three months of two different dosages of vitamin D on subjects’ muscle strength and vitamin D levels. Investigators from the Department Endocrinology at St George Hospital in Australia were trying to determine the optimal dose of vitamin D needed to achieve a 25OHD level of at least 75 nmol/L (30 ng/mL), which is at the very low end of the normal range. They also wanted to see what affects these different doses had on the subject’s strength and muscle function. 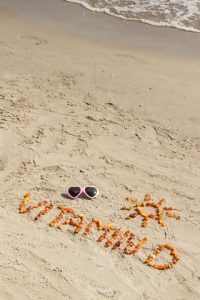 The Australian researchers randomly assigned 30 vitamin D deficient patients to either 2,000 or 5,000 IU of vitamin D per day for three months. At the end of three months, only 5 subjects (45%) in 2,000-IU group compared to 14 subjects (93%) in 5,000-IU group achieved final 25OHD concentration of at least 75 nmol/L (30 ng/mL). Muscle strength, however, did improve in both groups. The researchers concluded that 5000 IU daily is more effective than 2000 IU for treating vitamin D deficiency. Results from each of these studies indicate that if you have low energy or muscle weakness and a vitamin D deficiency, you can take vitamin D supplements for fatigue and strength benefits. Your muscles will function better and produce more energy, in part because vitamin D helps improve your mitochondria’s ability to generate ATP. Better strength and energy are only two of the many benefits you’ll get from treating your vitamin D deficiency. Studies indicate you may also notice improvements in your mood and brain function as well as physical symptoms. If you’re weak and tired all the time, you need to have your vitamin D levels checked with a simple blood test. Treatment of your deficiency with 5000 IU of vitamin D a day for three months could be all that’s needed to regain your energy and strength. You can learn more about vitamin D deficiency here: 10 Vitamin D Deficiency Symptoms that You can Identify Yourself. Of course, fatigue is a common symptom and has many underlying causes which you may also need to investigate. 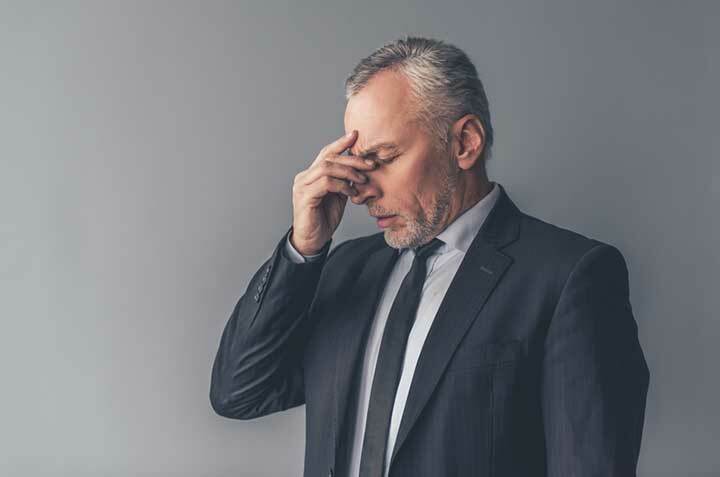 For some more ideas on what might be causing your fatigue and to learn more about additional supplements for fatigue and boosting energy levels, see our other Fatigue/Lack of Energy articles here. J Clin Endocrinol Metab. 2013 Feb 7.
boosting energy, boosting energy levels, brain, cause of fatigue, exercise, fatigued, lack of energy, low energy, low vitamin d, low vitamin d levels, metabolism, mitochondria, mood, more energy, muscle, pain, recovery, strength, supplements, supplements for fatigue, tired, tired all the time, untreated vitamin d deficiency, vitamin, vitamin d, vitamin d deficiency, vitamin d deficiency symptoms, vitamins, vitamins for fatigue.